Bristol is celebrating this week following confirmation that the city will become home to one of Channel 4’s new Creative Hubs. Channel 4 announced its relocation plans on 31 October, confirming Leeds as the base for its new HQ, and Bristol and Glasgow as locations for its two new creative hubs. 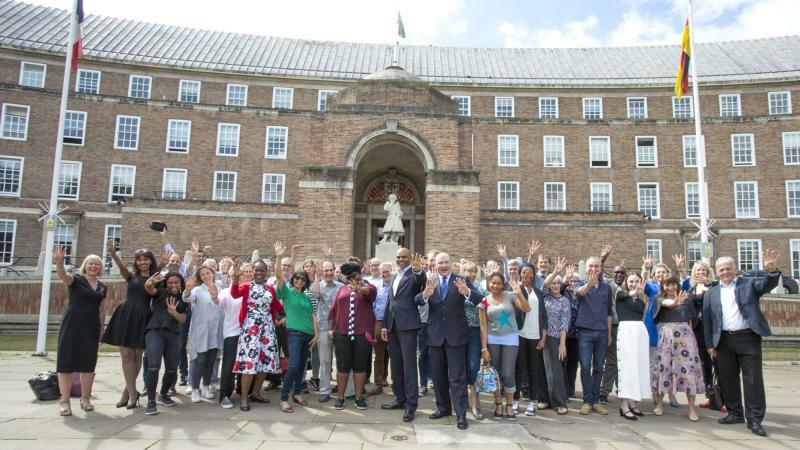 Led by Mayor Marvin Rees, Bristol’s bid was supported by The Bottle Yard Studios in partnership with a creative community of media organisations, production companies and industry figures in the city. Announcing the decision, Channel 4 said: “In Bristol there is the opportunity to build on a thriving television production sector in the City, which has world-renowned factual producers and also has strengths in areas such as animation and digital production. “Locating in Bristol will also enable Channel 4 to work closely in partnership with Cardiff and its production sector – with the opportunity to further accelerate the growth of the creative cluster around South West England and South Wales – and also connect with indies across the West of England, Birmingham and the Midlands. Watch: ITV News West Country’s report on Bristol’s success (first broadcast 31 October 2018).